Welcome to my 2016 Christmas gift ideas list. Every year I try to come up with a handful of products that may help you find the perfect gift for the gym rat in your life. Even if you don’t think that any of the suggestions I make are perfect for your friends or loved ones, hopefully something will at least spark an idea, and perhaps point you in the right direction. I’m only one dude here, so if you have a suggestion that you think may be helpful to others, please use the comments section below to share that idea with us. Be patient if you include a link, as I have to manually moderate those comments. Merry Everything! There are shoes designed to optimize comfort & improve performance for just about every possible sport and physical activity that you can imagine. 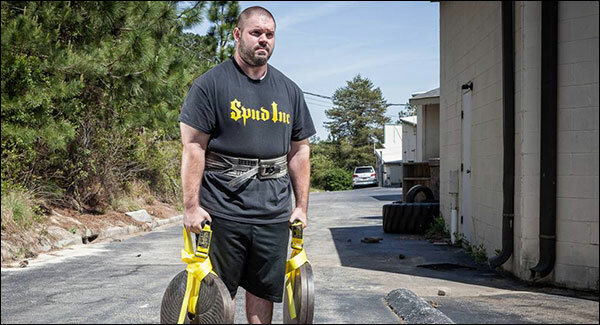 It should come as no surprise that there are also shoes designed to do the same for weight training; be it the sport of Olympic weightlifting, powerlifting, or CrossFit; well there’s a shoe for that. Even better, there are so many different brands and styles to choose from that you can actually train in style as well as comfort. So where do you buy good weight training shoes? Well there are two great online sources for training shoes. 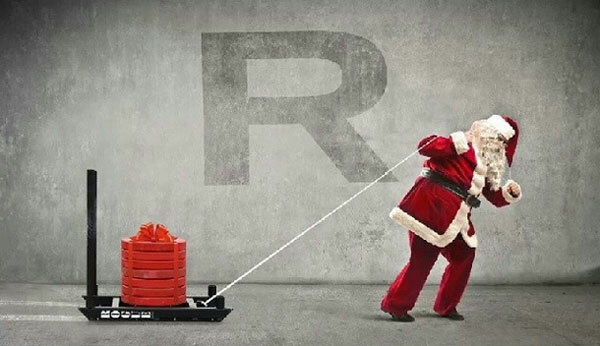 Rogue Fitness has the largest selection of CrossFit and Oly weightlifting shoes around: Reebok Nanos, Nike MetCons & Romaleos, Adidas Adipowers & Powerlifts, NOBULL Trainers, and many, many more. MaxBarbell is one of the only domestic sources (if not the only) for SABO powerlifting and deadlifting shoes. SABOs are incredible lifting shoes, and compared to what Nike, Reebok, and Adidas charge for their weightlifting shoes SABOs will seem like the deal of the century. MaxBarbell also offers Girevoy shoes, and Wei-Rui WL shoes, which are more affordable than the mainstream AdiPowers and Romaleos. 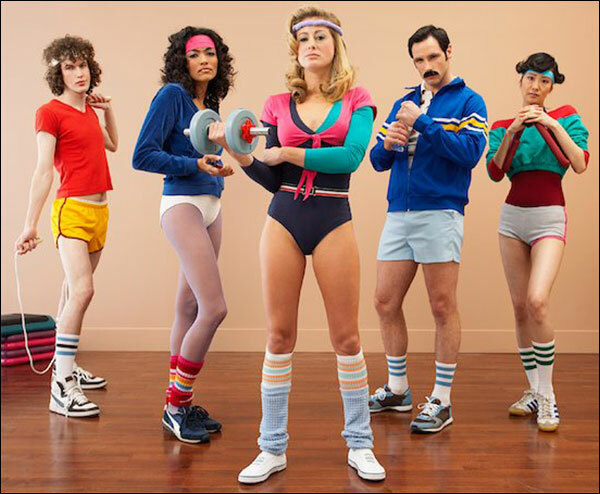 So if your intended gift recipient is still wearing a crusty pair of Chucks or a pair of running shoes to the gym, maybe hook them up with some real training shoes. Of course when it comes to buying training shoes as a gift, in addition to their size you’ll want to know which lifting sport they participate in, but that shouldn’t be too hard to figure out. The farmers walk continues to be one of the most beneficial and under-utilized movements out there. The farmers walk (or the farmer carry) builds muscle unbelievably fast, increases strength and performance in the big-3 lifts, and improves endurance. It’s a simple, effective exercise that does require specialized equipment, but because of Spud’s constant creativity with industrial nylon, you no longer need a $100 to $200 pair of steel farmers handles or an extensive heavy dumbbell collection to get them done. Spud Inc Farmer’s Handles are nothing more than a pair of heavy-duty nylon straps with rubber-coated, free-rotating, steel handles that you load up with the weight plates that you already have. Each strap can handle up to 300-pounds or more of steel discs loaded, and while you may not get that much weight on, they are also just as compatible with bumpers. Adding access to one of the best all-around exercises for only $69 seems like a pretty nice deal to me. You can probably even squeeze these straps into a stocking. WODDice make a fun and affordable gift that can bring an unpredictable new dynamic to a training program. 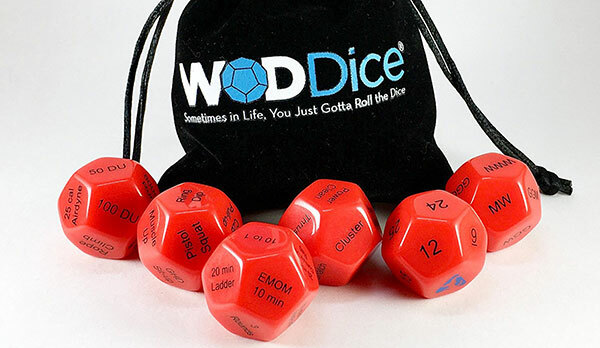 Like any roll of the dice, these act as a randomizing tool, but rather than just showing digits, the options on each of these 12-sided dice are specifically programmed around the same methodology taught during Level 1 CrossFit certification. Everything from the allotted time, reps, and type of movement is determined by what is rolled, creating two+ million possible WODs for endless new challenges. American Barbell has gone gaudy with their best-selling WOD bar. Simply by changing the color of the finish on the California Bar they were able to create something that is identical functionally, but looks like a completely different product. They call this new bar the Gold Standard Bar. As you can see, the idea is to give the bar the appearance of being gold-plated. While the finish is obviously not real gold (the bar is only $300), the gold-colored zinc finish is at least slightly convincing – in the pictures anyway. Now I’m not quite sure how I feel about this garish new color (it seems so out of place on a barbell), but at least the bar performs the same as its predecessor. The Gold Standard has they same 190,000 PSI shaft, dual-marks, hard chromed sleeves, and industrial composite bushings. Basically for an extra $20 you can add some bling to your California bar, and to your workouts. Oddly enough, the Gold Standard Bar is only available as a men’s 20 kg version; there is no 15 kg women’s version. I feel like that is a real missed opportunity on American Barbell’s part, but maybe they have plans for one that we don’t know about yet. We’ll see! If gold isn’t your thing and you’re looking for something a little more serious, boy do I have the thing for you. 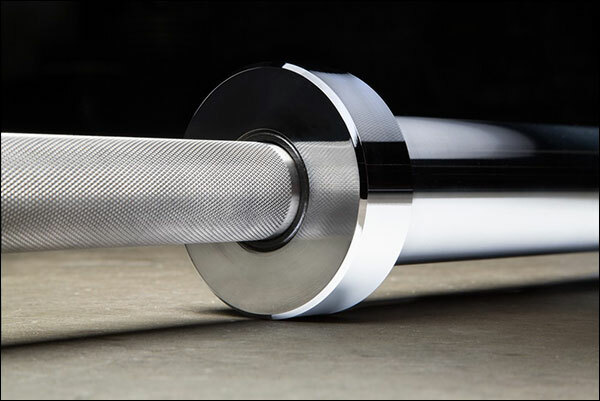 The new Stainless Steel Ohio Bar is arguably the nicest mid-range, multi-purpose Olympic barbell currently available. 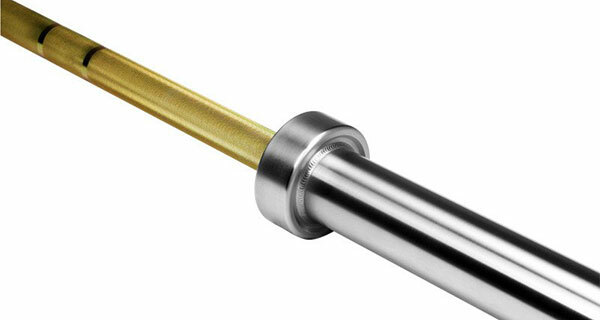 Not only is stainless steel the absolute best feeling and naturally secure material to use for a bar shaft (among both finished and unfinished bars), it won’t rust, fade, or chip away over time. When stainless bars are given a good knurl (this bar has a great knurl), there’s just no comparison at all, save for unfinished alloy steel – which rusts, of course. The best thing about the new SS Ohio is the pricing. For years we’ve been paying out the you know what for stainless steel bars. Options have been quite limited, and the handful of companies that even offered them have been scoring quite the margin from us. Enter Rogue with a $350 stainless Ohio Bar that is not only just nominally more expensive than the zinc and oxide finished Ohio bars, but actually has better specs too; higher tensile strength, better bushing system, chrome sleeves, and of course a superior knurl. 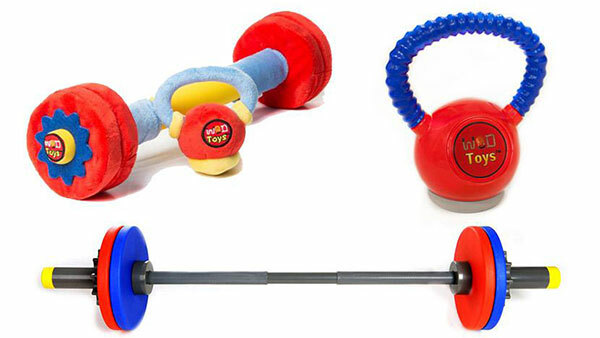 I cannot decide if these WOD toys are really meant for kids, or if they’re meant to entertain the parents. Either way, they are kind of cute, and if I had a child to buy them for I probably would. They can be hard to catch in stock at Rogue, but Amazon has a good selection of WOD toys as well. Also check out the selection of adorable children’s shirts! Awww! I hope this stuff really does inspire children to train when they get older. Light Reading Material, Rippetoe-Style… again! That’s right!!! I stole this from last year’s guide because it’s worth mentioning every year! 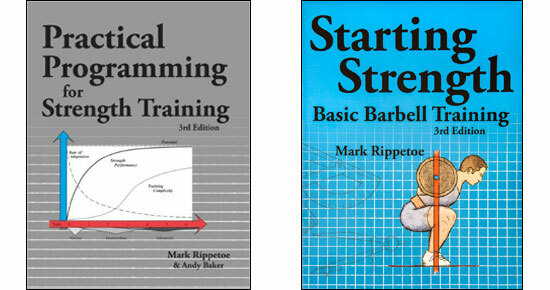 I’m always recommending Starting Strength by Mark Rippetoe. I think it’s an amazing book not only for novice lifters who want to learn proper execution of the major barbell lifts and get on an easy to follow, linear program that all but guarantees immediate gains, but also for experienced lifters who want to educate themselves on the physics and mechanics of these lifts. Everyone should own a copy of this book. I highly recommend both of these; they both have perfect 5-star reviews on Amazon, and for the size of them and the amount of information they contain, they are a steal at only $20 each. Everyone should own these two books. Even if you don’t care for Mark, he’ll teach you a thing or two. 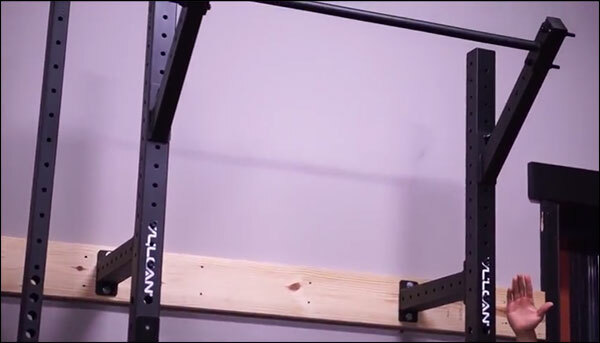 The Vulcan Slim Fit Rig is one of the beefiest space-saving wall racks on the market. It’s constructed with 3″x3″ 11-gauge steel, can be installed either 18, 24, or 36-inches from the wall, comes in three different heights to accommodate any almost garage, and since it’s not a folding rack with hinges and moving parts, it has no real weight limitations. This rig also comes with an overhanging kipping/pull-up bar that puts plenty of space between your body and the wall, even if you go with the 18″ cross-members. 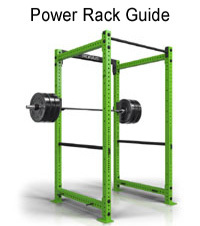 The unit comes with a pair of J-cups, and optional equipment includes a dip station, safety spotters, and plate storage horns for storing weights on the inside of the rack. Base price is $599 which is reasonable enough, but as you fiddle with options and accessories of course the price goes up. Slim wall racks are the way to go if you still need to park your car(s) in the garage at night. They eliminate the whole “we just don’t have the space for a rack” argument. Folding racks do as well, but folding racks are loaded with limitations, and they require a more in the way of complicated installation. True, folding racks take up even less space when stored than slim rigs do, and they are neat, but I just don’t take racks that have no safety options very seriously, and I doubt you do either. 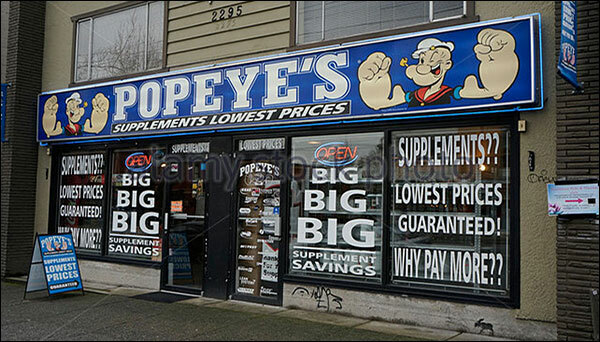 Never dismiss gift cards for supplements or food as a solid gift to a weight lifter, especially if we’re talking about a young, struggling student. College kids tend to live pretty hectic lives and they eat like crap – lots of fast food and cheap ramen. Help them get all the gains they deserve with a gift card from the local supplement store, Chipotle, or even a grocery store gift card. If you want to buy some protein powder for someone, you can almost never go wrong with Optimum Nutrition’s Gold Standard Whey. It’s tasty, high-protein, loaded with BCAA’s, and is an isolate which makes it safe even for the lactose intolerant. It’s my favorite (Banana, if you’re curious.) Pre-workouts and creatine also make for a considerate gift as well. You can almost never go wrong buying someone some t-shirts, tanks, or shorts to train in. It doesn’t even matter where you buy the shirts so long as they use high quality shirts. If you know that the gift recipient is a fan of a certain equipment manufacturer like Rep, Vulcan, or whatever, buy them some shirts from that company. Almost all these equipment vendors sell t-shirts. This is a great list. I’ve been eyeing the farmer walk handles for a long time. 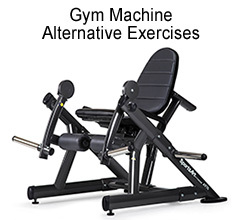 -A nice ab-roller is a good low-cost gift. Those things are awesome. The Rogue one looks great but too pricey at $60 imo. At $40 or less it’s more competitive. 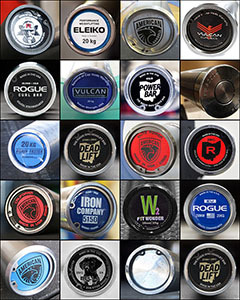 -Vulcan Alpha bumpers. Even though I never train outside, I really like the idea of being able to. Plus, everyone could use some more weight, right? -Strike Movement shoes (Chill Pill Transits) are stylish and gym-ready. I’d get them for travel so I could do everything in one pair of shoes and not have to worry about packing an extra pair for the gym. -As far as novelty kettlebells, I prefer the Onnit designs over the KK ones by a lot. I know you dig KK but the primal bells are just badass imo. 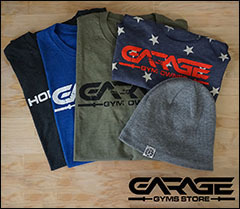 – Garage Gym T’s! I know you’d print them on quality shirts too. Let us know when those come out. I’m happy to report that I have ordered a bunch of blank tee’s and hoodies for comparing quality, fit and sizing accuracy, and so forth. Step 1 – check! And crap, I always forget about Onnit! poor Onnit haha. I’m even in town with them! 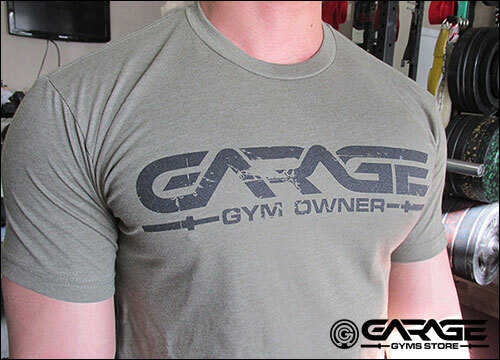 I have never bought any logo ware but might make an exception here, particularly if you make it look like we’re advertising our OWN garage gym…and it’s 100% cotton. Cotton doesn’t take silk-screening as easily but it’s a lot more comfortable to wear than poly-cotton, especially when you’re sweating, which is the plan, right? Spent nearly $500 at Black Widow items for Black Friday, looking for best deals on slam balls and bounceable medicine balls to fill out my collection. Not the biggest gym end-year-sales year but some useful stuff. What did you get from Black Widow for $500? Got the two fat bar sizes for pulling/grip and to share with landmines, three sizes of pulling handle pipe-grips, and the three-handle pulling dumbbell this time. I already have almost all their landmine stuff. For Christmas, I might suggest Spud knee sleeves — just noticed these and if they fit well enough the 2-ply are 0.25″ thick and are about the first I’ve seen that make sense. 15% off everything coupon going for two days here, too. (“XMAS15” Dec. 14-16). Next Level t-shirts are fantastic. My all-time favorite t-shirt is the 50/50 from American Apparel. I think the AA 50/50 combo is more rugged and drapes better than the Tri-Blend from AA. This is advice from your 6’3″ friend with a long torso, so you know that I’m only recommending shirts that don’t turn into belly shirts after the first run in the dryer. Ain’t nobody got time to be hang-drying their workout t-shirts. Yeah I dig the American Apparel 50/50 shirts, but any AA shirt is just too expensive for a small-time guy like me to be printing on. It’ll probably have to be Next Level. I myself am about a quarter inch shy of of 6’4″, so believe me I know how ridiculous some of the shirt sizing is. Us tall guys have waists that are small enough for a medium, but a medium is way too short – especially after that first wash and dry like you said. A large has the extra length, but looks like a parachute on athletic and slim guys. I am definitely working under the assumption here that anyone who would wear a Garage Gyms shirt is more likely to be in shape than fat, so I want to use shirts that have sizes that favor an athletic build rather than some of the more common brands that actually use more fabric in each size and have more of a pear shape to them simply because so many people are overweight. Oh, also got to Rogue for 4 fatbells and their ab roller in “hot deals” on “five ships free” — that was decent and it’s good stuff again. 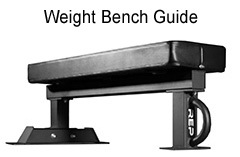 Do you have a recommendation of a solid weightlifting belt? Inzer is sort of the gold standard from what I’m told and a little out of my price range. I checked Rogue and they have quite a few Rogue Leather Belts that are pricy also and then they have the cheap 5 inch $20 Nylon Belt that I guess are more geared toward crossfit to give a little support but also allow for mobility? Check Amazon also and there are a ton of cheaper belt there, but you can never trust the reviews because many of the foreign manufacturers load up the reviews and make them all 5 star and leave fake reviews. 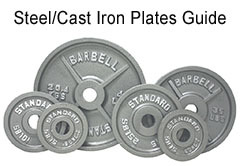 Do you have a recommendation for Belt specifically for Oly Lifting? Power Lifting and maybe Crossfit Belt? My brother is really into crossfit and I was thinking about get him a belt for christmas. Pioneer (General Leathercraft) makes great belts, and they’ve got 2″, 2.5″, 3″, 4″ and the standard 10 cm wide belts in 6.5 mm, 10 mm, and 13 mm thicknesses, including some tapered belts. Their prices are typically less than Inzer, but not as cheap as the nylon belts like those from Spud Inc, or junk on Amazon (you’re right about those reviews – I’m looking for a new laptop and am blown away at how useless the reviews really are on Amazon). It’s hard to find anything overly competitive with Inzer that is still a good belt, because Inzer prices really aren’t that bad all things considered. Leather costs what it costs, and that’s why belts from like Rogue or Vulcan don’t seem all that affordable despite not being colored suede and not having levers.